WTEA your Advantage in the Classroom. 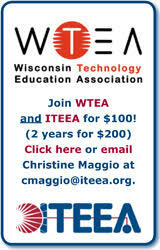 Join the WTEA and connect with Wisconsin's Technology Educators. 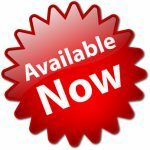 The WTEA has curriculum ideas and resources to help your program. 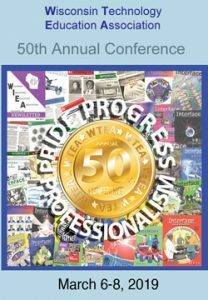 The 2019 conference app ( powered by Yapp) is still available and can be used on your mobile device or accessed from any computer. Visit https://my.yapp.us/WTEA50TH and follow the instructions on that page. Polo Shirts, Lab Coats & More with the WTEA 50th logo. Look for Logo Merchandise under the eStore menu.